Attorneys Sandra B. Dittus – Zimney Foster P.C. 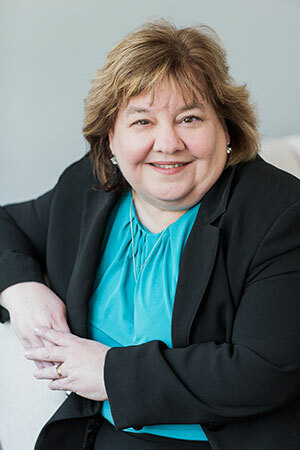 Sandra B. Dittus (sandradittus@northdakotalaw.net) joined the firm in 1986 after graduating with distinction from the University of North Dakota School of Law. During Law School, Sandy was the recipient of the American Juris Prudence Award in Business Associations, was a Member of the regional Moot Court Team and on the Board of the North Dakota Law Review as Special Projects Editor. She earned her Bachelor of Science Degree from UND as well in 1983 with majors in Accounting and Marketing. Sandy focuses her practice in the areas of estate planning, probate, real estate and business matters. Her goal is to assist her clients with resolution of their legal problems, be it the sale of their business or planning for the transition of their estate, in a client-focused, efficient and cost-effective manner. In addition to her practice, Sandy is also known for her service to her community having previously received the Community Service Award for the Northeast Judicial District. Sandy’s involvement has included the Board of Directors for the Grand Forks Chamber of Commerce, PEO Chapter T, Attorney Division Leader for the United Way Campaign, Altru Health System Community Board, Grand Forks County Bar Association President, many committees at Wesley United Methodist Church, Community Violence Intervention Board of Directors, Grand Forks Foundation for Education and Altru Health Foundation. A native of Thief River Falls, Minnesota, Sandy is licensed to practice in both North Dakota and Minnesota and is a registered agent for Fidelity National Title Insurance Company.